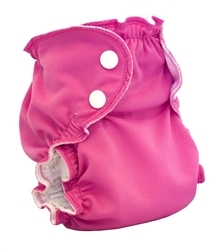 Applecheeks swim diapers are fun, fashionable way to sport a swim diaper! 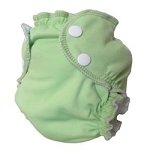 AppleCheeks Washable Swim Diaper is a super soft, super cute swim solution! As we know you LOVE the styling of the AppleCheeks Envelope Cover, we've translated the design to a product that really works for the pool, the lake or the beach! 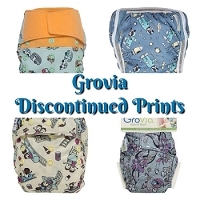 Two layers of 100% polyester Canadian-milled mesh allows water to comfortably move through the diaper while keeping any solids, should they occur at an inopportune time, out of the water. 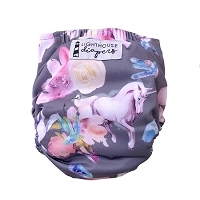 The swim diaper is completely designed and manufactured right in Montreal, Quebec, Canada, just like the rest of the AppleCheeks line. Our signature two-size system with snaps at the waist and separately adjustable snaps at the thigh means your little one is guaranteed a comfortable, long-last fit. Size 1 fits approximately 7lbs - 20lbs and size 2 fits approximately 18lbs to 35+lbs. 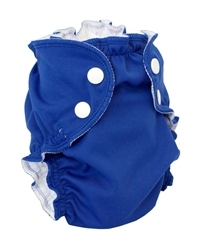 We love this swim diaper! It's incredibly soft, and so functional. Both my 10 month old and my 2.5 year old fit in the same size. We've never had to put it to the true test, but it's snug in the right places without cutting off circulation and the leg holes actually allow their entire legs to fit. 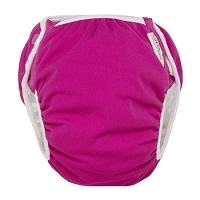 We tried a different popular brand and the leg holes rested on their thighs so they hurt and restricted movement. But not these! Love em!